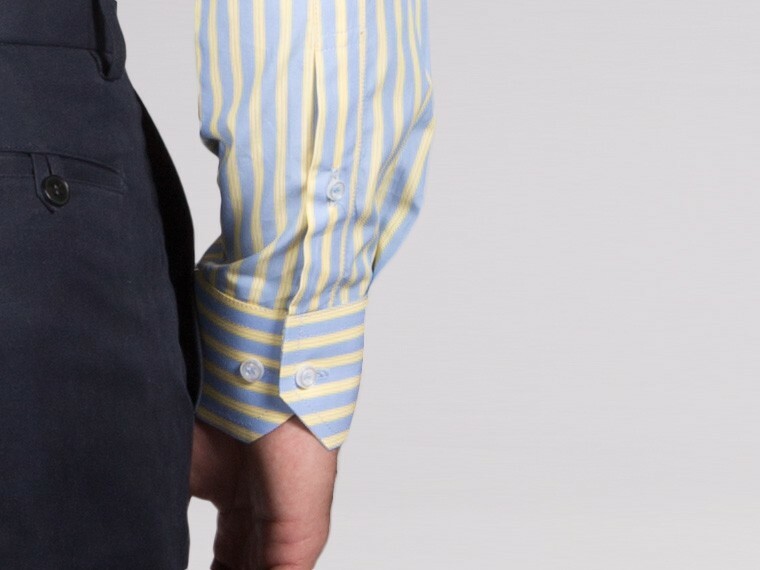 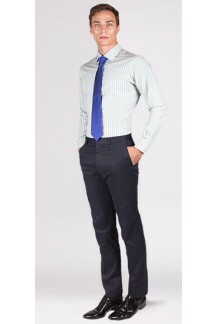 Incorporate a sharp look into your everyday line up with this precision-cut cotton custom shirt. 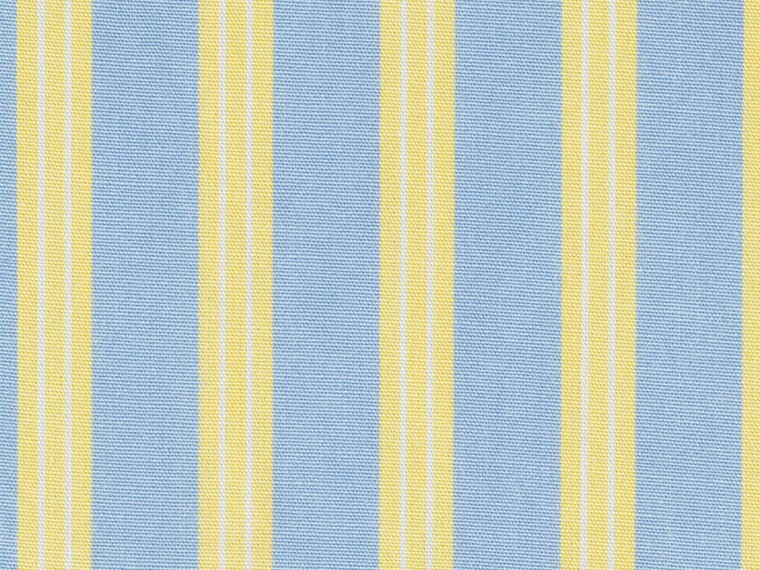 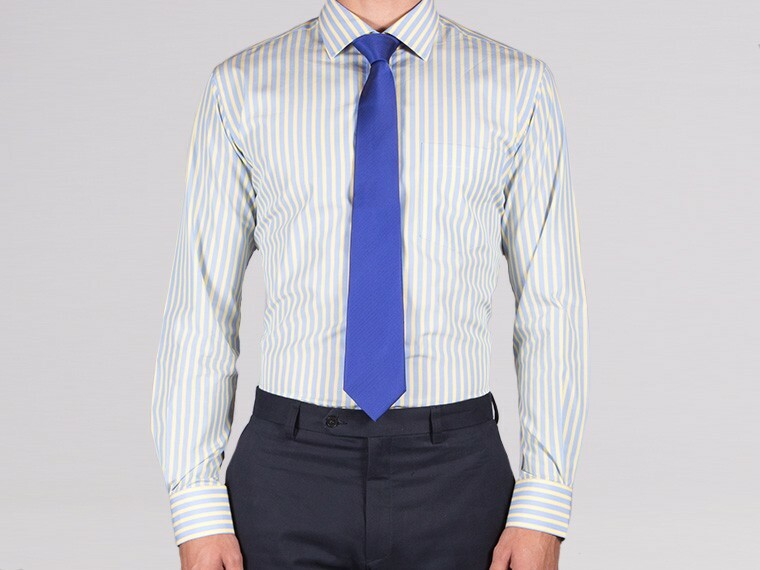 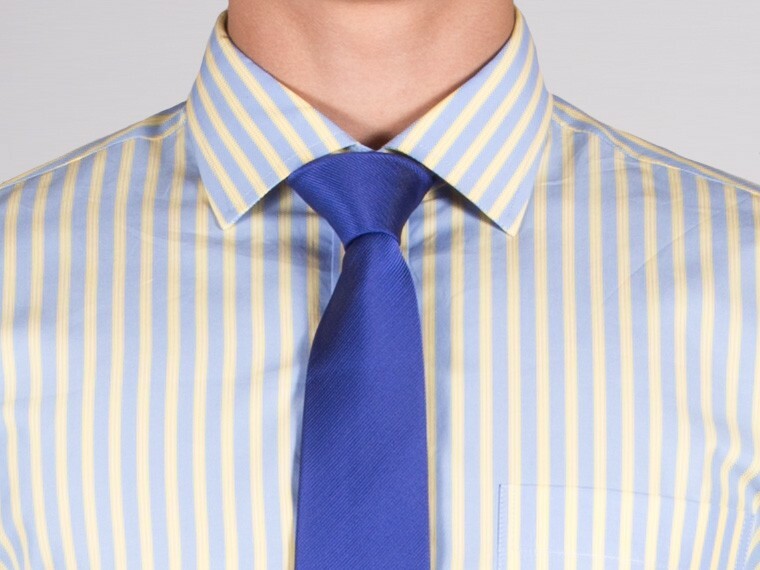 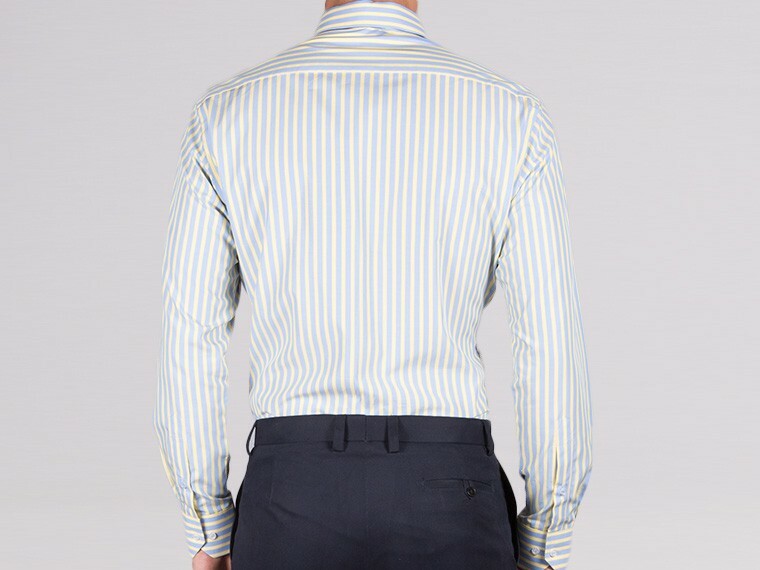 The bold blue and yellow stripes add a modern twist making it a stylish choice. 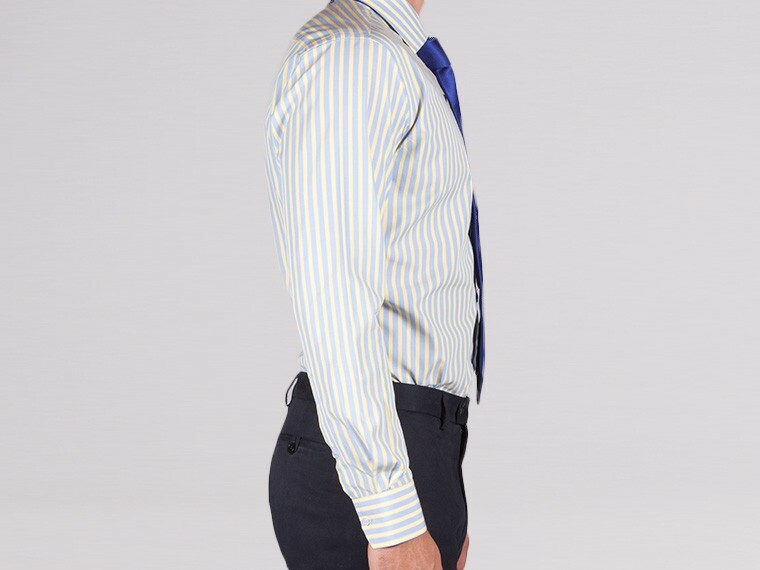 Team it up with your favorite suit and accessories for a dapper look.